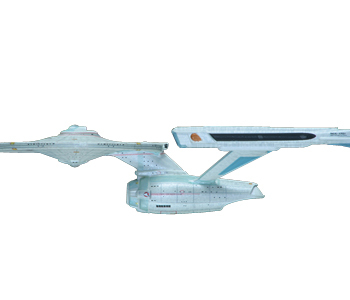 Three of the most popular Star Trek® ships come all in one great mini kit. 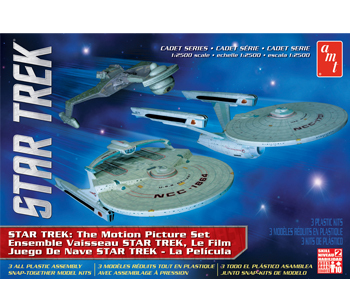 This set focuses on Star Trek®: The Motion Picture and Star Trek 2: The Wrath of Khan. It includes the U.S.S. 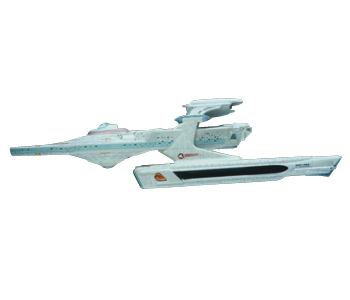 EnterpriseTM Refit as featured inboth films, the Klingon K'tinga as seen int he first movie and the U.S.S. Reliant which was prominently featured in the second film. 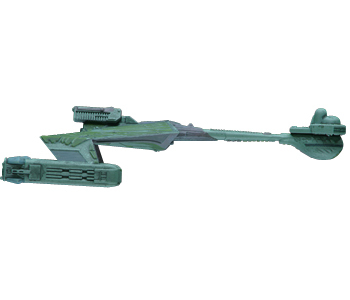 The Relaint and K'tinga are brand new tools and have never been available before in this scale as plastic kits. Thorough decals are included to provide surface details for each ship.